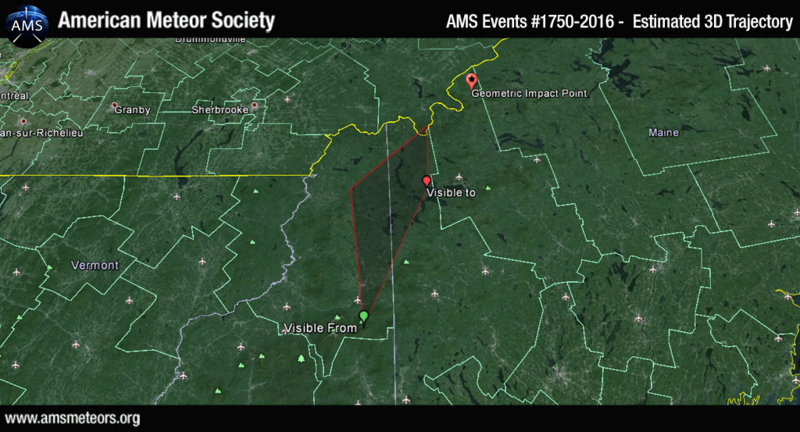 The AMS has received nearly 700 reports so far about a fireball event over Northeastern US on May 17th 2016 around 12:50am EDT (4:50 UT). 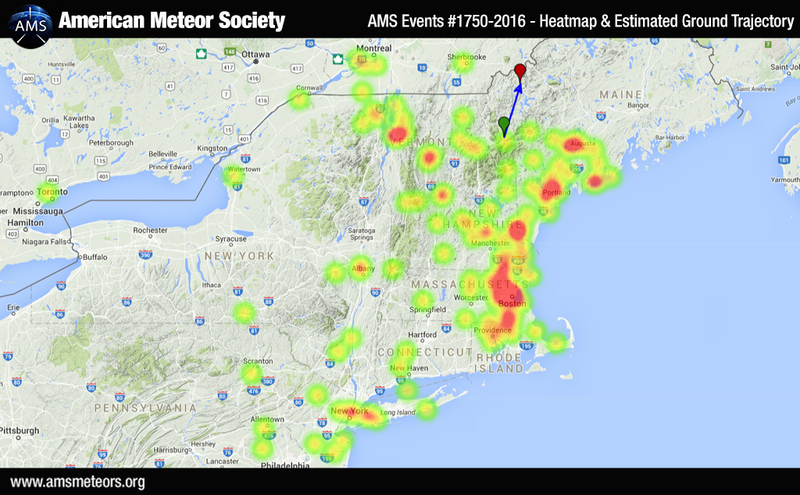 The fireball was seen primarily from Maine but witnesses from Vermont, New Hampshire, New Jersey, Massachusetts, New York, Rhode Island, Pennsylvania, Connecticut, Ontario (Canada) and Québec (Canada) also reported the event. Below is the heatmap of the witnesses location and an estimation of the ground trajectory. The trajectory is calculated by triangulation based on the reports we received. 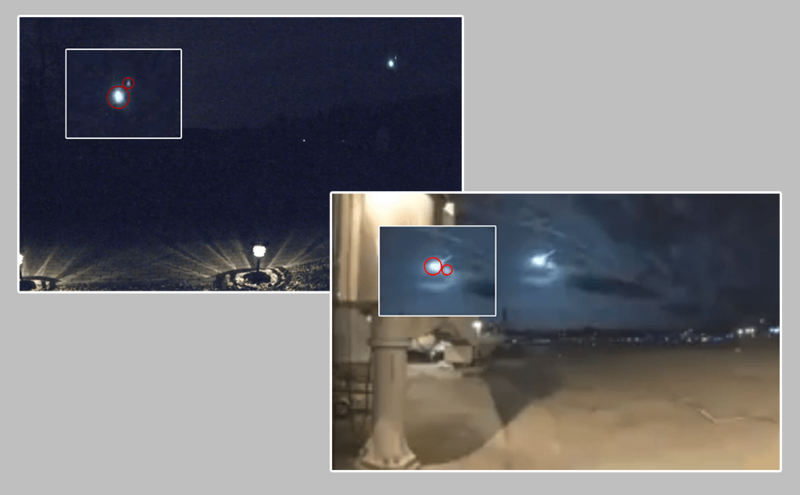 As it appears clearly in the two screenshots below (from 2 videos ©Burlington International Airport) – there were two objects. It means the original object (the meteoroid) broke before entering the Earth’s atmosphere.